The Newport Folk Festival 2013. Two weeks ago I attended the Newport Folk Festival for the 12th time in my life. As an editor at the Quiet Lunch Magazine, it was supposed to be my duty to provide excellent journalistic coverage for our dear readers. As a veteran attendee, I really have no excuse for not snapping a few pictures, but I have to be honest with you: the moment my friend and I arrived at Fort Adams, I ceased to be Matia, the Editor at Large of Quiet Lunch Magazine, and became that dorky folk-loving crazed fan who dragged her very patient, Newport newbie friend from Quad Stage to Harbor Stage to Museum Stage to Fort Stage and back again trying to absorb as much music as possible. 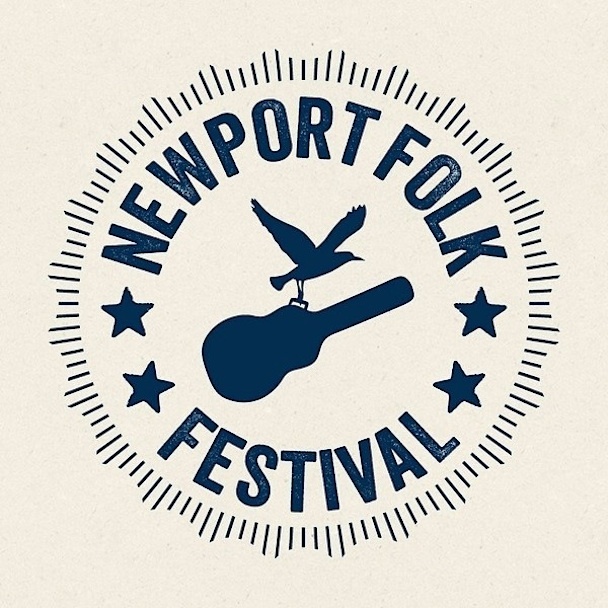 For those of you who may be unfamiliar with the grandiose nature of Newport and its undeniably important contributions to the folk music genre, the Newport Folk Festival was founded in 1959 by George Wein and a governing board that included the infamous Pete Seeger, Theodore Bikel, Oscar Brand, and Albert Grossman. It is known, along with the Newport Jazz Festival, for being one of the first ever music festivals and the one that set the bar for all music festivals that have followed. In addition to being the first music festival, Newport Folk is famous for introducing new musicians to the scene, like in 1963 when this unknown New York City boy showed up during Joan Baez’s set and made his national debut, which was immediately followed by him becoming one of the most influential folk artists of all time–that boy was Bob Dylan. Keeping up with its tradition of excellence, the 2013 Folk Festival was not only blessed with beautiful oceanside weather for the duration of the weekend, but once again the lineup was expertly crafted and intelligently scheduled. From Sunday’s epic headliner, Beck, to Saturday’s lesser knowns like Shovels and Rope, the Folk Festival lived up to its reputation for bringing talented new voices to the scene and expanding the boundaries of the folk genre. Saturday saw a burning hot sun (I got a pretty sweet tan) and zealous performances by Jim James (of My Morning Jacket), Frank Turner, and The Avett Brothers, who–by the way–totally killed it and got even the old-timer folk fanatics to bang their heads like a bunch twenty-something rock ‘n’ rollers. Other Sunday acts, including one of my favorites, Andrew Bird, as well as Lord Huron, Bambino, The Lumineers, and Michael Kiwanuka drew huge crowds of eager music lovers of all ages and denominations. Children as young as infants and adults as old as their 90’s made their way around this historically significant and musically unsurpassable three-day festival. I could go on about how great a time I had at Newport this year and how exciting it was to introduce a dear friend to this renowned festival and watch him take in its history, but it is difficult to relay the experience of being there in mere words. The ways in which we communicate information to each other, whether in words, through pictures or video, never truly capture the experience. These mediums will always be limiting. But, like the festival itself, music is the only art form that exists only in the moment it was created. Sure it can be recorded and listened to again and again, but experiencing live music is bearing witness to the art’s moment of creation. No musical experience captures this idea better than the Newport Folk Festival–and 2013 was no exception. Until next year… Cheers. How much were tickets last year? I’d love to take a group of Au Pairs, but cannot find a price range so we can plan ahead1 Any help would be appreciated! Thanks! They will post ticket prices soon I’m sure. But here’s their site: http://www.newportfolk.org/tickets.